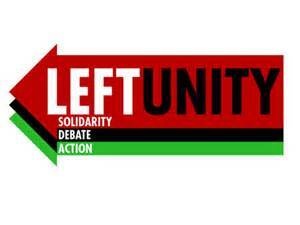 The following motion will be placed before the Left Unity Conference in Manchester on March 29th. It was initiated by members of the Republican Socialist Alliance in England. Steve Freeman, of the RSA, addressed the RIC National Conference in Glasgow on November 23rd, 2013. The Daily Telegraph (16 March 2014) claimed that the 2015 general election would be thrown into turmoil if Scotland voted for independence. It would plunge Britain into a major “constitutional crisis”. It is not ‘merely’ the future of the British Union. The fate of the Cameron coalition government may hang by the result. The Prime Minister who lost Scotland will find it difficult to survive the result, never mind win the general election. Below we are posting the statement agreed by the RSA Steering Committee in London on Feb. 14th in response to Cameron and Osborne. This is followed by a statement of solidarity sent to republican socialist organisations in Scotland by Steve Freeman, member of the Republican Socialist Alliance and Left Unity Party in England. He was a speaker at the ‘After the UK – the future of 4 nations’ session at the RIC national conference in Glasgow on 23.11.13. 1. WHY A SOCIAL REPUBLIC FOR ENGLAND AND SCOTLAND? The Tories are facing their Waterloo. As the rivers flood and their credibility sinks the Tories and the whole British Establishment are preparing for their final battle with the people of Scotland. The Prime Minister’s speech at the Olympic Park in East London launched his appeal for the people of England, Northern Ireland and Wales to back the Tory war effort. George Osborne, the Chancellor joined in a co-ordinated pincer movement to sabotage the Scottish economy in the event of a Yes vote. The Hammer of the Scots was soon backed up by the discredited Clegg and the discreditable Miliband.